Rebecca is an expert at creating consumer-centric, commercially focused marketing strategies that position, launch and build brands and attract, convert and retain consumers within multi-channel environments. With over 20 years commercial experience, Rebecca possesses a broad managerial skillset, a pragmatic approach and thrives on quickly identifying and addressing business challenges. She has worked across a number of corporate and SME businesses on new product development, consumer communications, e-commerce website development, digital and social media, events, partnership marketing and PR. 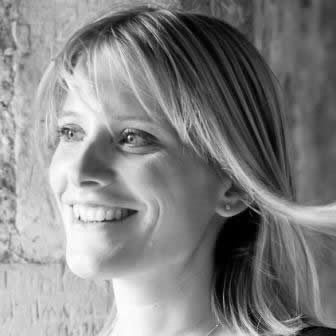 Rebecca's background has included commercial, senior marketing and product roles at WHSmith, Argos, Mattel, PepsiCo, Organix and Liz Earle Beauty Co. Her recent part-time portfolio includes multi-channel FMCG food & drink, healthcare, skincare and consumer goods companies. Led new marketing structure & processes (3 year NPD pipeline, consumer-driven NPD process). Re-branded Goodies brand incl. relaunch of website & new marketing initiatives - brand achieved 30% growth yoy. Led marketing strategy development and implementation of multi-channel brand campaigns, NPD launches, insights & sales analysis. Successfully launched the brand in John Lewis, securing the #1 selling product. Created the first customer email plan to recruit, convert & retain customers. Led the Liz Earle website redesign. Recruitment of a new team. Launched Liz Earle internationally (online and in-store) in USA & Ireland. 60% growth in customer acquisition yr on yr. Implemented consumer research to ascertain & implement new brand positioning. Reviewed and recruited marketing team. Planned & implemented first marketing campaigns.marketing campaigns.